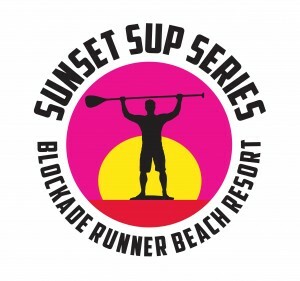 The event is scheduled for August 17 and 18, 2013 with an event banquet on Saturday night, August 17. Prizes will be awarded to ALL Amateur Finalists. Pro Finalists will receive a cash purse. 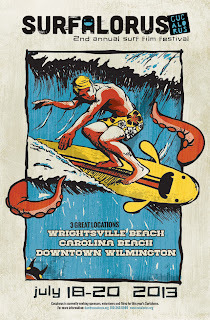 Get all of the details as well as a history of the event at www.wrightsvillebeachwahineclassic.com. See awesome photos of the past Wahine Classic competitions here. If you still have not made it to Airlie Gardens for the Summer Concert Series, don't worry - there's still time! The lovely landscape, mighty oaks, and ocean breezes make this venue one of the area's most special. Every first and third Friday from now through September 20th, the concerts will be held from 6 to 8 pm. A free trolley leaving from the Cinema 6 parking lot, which is adjacent to Tidal Creek on Oleander Drive, will shuttle guests to and from Airlie. The trolley is also equipped for handicapped guests. Before you head out the door for an evening of great music, make sure to pack a blanket or beach chair. 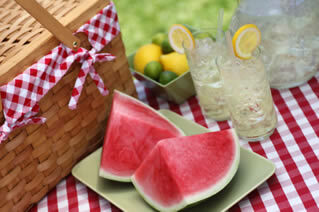 Coolers and picnic baskets are welcome, however, beer and wine are the only allowable alcoholic beverages. For those who'd like to purchase a ready-made picnic, Front Street Brewery will also be on hand for each concert with a variety of delicious offerings along with some of their best brews and seasonal wines. July 19th - Jack Jack 180 - Wear comfortable attire for this band because you're likely going to be on your feet and rocking out in no time! Jack Jack 180's playlist covers a broad range of genres, including pop, rock, and alternative. August 2nd - The 360 Degrees - Wilmington's #1 Party Band has a reputation for soulful tunes from James Brown, Michael Jackson and Stevie Wonder to 80s sensations The B-52s and Pat Benetar, plus covers from new artists like Joss Stone. Question is: "Can you keep your flip-flops on?" August 16th - Grenoldo Frazier - This Port City native has quite a large local following. And no wonder-he is an accomplished composer, pianist, and actor. Frazier's smooth jazz stylings and masterful stage presence never disappoint. September 6th - Stardust - Comprised of some of the most talented area musicians, this jazz ensemble is a proven crowd pleaser. Their repertoire includes traditional jazz, a little swing, a bit of Big Band and a few party hits. September 20th - The Imitations - Chosen to wrap up the concert series, this lively bunch of musicians always leaves their fans wanting more. Take it from the band, who plays Beach, Soul, and Rock and Roll and "make every party a par-tay!" If you need more information, please call the Airlie Gardens office at 798-7700.